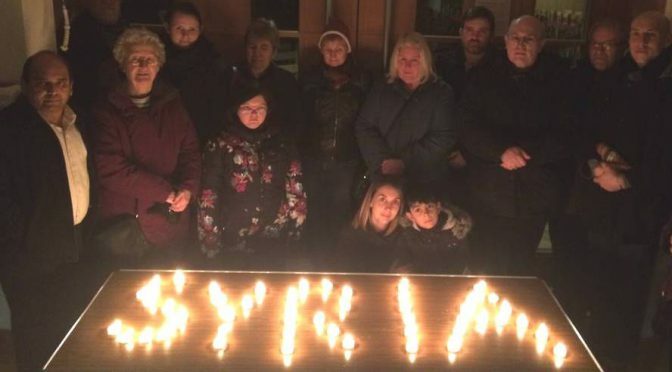 At our Delegates Assembly on 5th February, delegates formally approved a campaign goal to launch and support MK’s first community sponsorship of a Syrian refugee family. This followed an initial listening campaign led by St. George’s Church, Wolverton. In March, the listening was extended to include 100 respondents, with the results showing 75% in favour and only 6% against, with the remainder undecided. At a follow-up meeting, 30 people attended to agree next steps. Since then Truby’s Garden Tea Rooms has made a donation to the project of £1,200 and there is another amount of £300 coming from another group of churches towards the project.